Unforgettable chocolate fountains that cascade for hours – a real chocolatey indulgence for those wishing to show case a stunningly contemporary fondue. Whatever occasion you are celebrating, you can truly benefit from this wonderful showpiece. Baby showers are becoming more popular so a chocolate fountain would be a welcoming treat for the mum to be and her guests. We are one of the leading chocolate fountain suppliers in the South East. Not only do we have standard sized fountains that take pride of place at your event, we have the largest chocolate fountain for hire across Essex and London. Since 2010, this fountain has been hugely popular so booking well in advance is advisable. The largest chocolate fountain in the world will be operated by three of our fully uniformed and qualified staff, who will ensure that you and your guests get to enjoy 40kg of Belgian chocolate with of choice of 20 dipping items. We will help you to decide what package would be suitable for you, depending on the size of your guest list, so that nobody will miss out on the most indulgent part of the evening! Small, medium and large packages are available as well as our children’s packages and multiple large fountains for those times when your guest numbers run into thousands. We will arrive at your chosen venue and set up your chocolate fountain where you tell us to, an hour before the celebrations begins. All the fruit that we bring will be delivered to us on the day of the party and is prepared at the venue as well as any dips to ensure maximum freshness. The chocolate that you have chosen will be in sealed bags and melted in the fountain right in front of you, nothing is pre-prepared beforehand. Once the chocolate fountain is in full flow, we will alert the bride and groom (if we are at a wedding) or the birthday girl or boy that the fountain is ready so they can have the first dip, which makes for a great photo. Then everybody else can use it as much as they like for the 3 hours duration. There is no limit to how many times you can use it, so you are guaranteed to keep coming back for more. All of our Chocolate Fountain Packages come with uniformed assistants who will be on hand throughout your event to keep everything clean and tidy, keep the food and chocolate topped up and help serve your guests and children, if they need it. All of our staff are trained in health and hygiene and are very friendly and approachable. We never add oil to our chocolate like some chocolate fountain companies do. Any chocolate that is left over at the end of your event is yours to take home, we never re-use it. All of our Chocolate Fountains are regularly PAT tested. We have full public liability Insurance and have various food hygiene certificates. We are actually happy to say that we have been awarded a hygiene rating of five stars by environmental health. We will always be very quiet and discreet when setting up and packing away your chocolate fountain, we would never interrupt you or your guests unless it is to offer you the lovely selection of dipping treats to dip into the chocolate.  Add A Chocolate Fountain To Your Event And Make It One To Remember!